Chris Young isn't concerned about taking the mound on three days' rest. 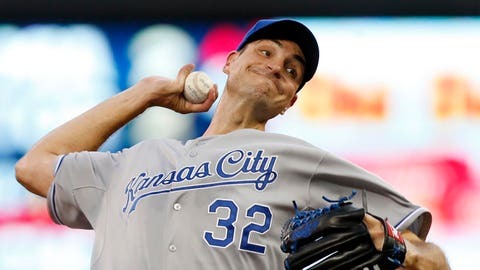 Unexpectedly pressed into duty, Chris Young delivered a Game 1 victory for the Kansas City Royals. Getting another Saturday night would put them on the brink of their first World Series title in 30 years. Young tries to again stymie the New York Mets, who hope to build on an impressive offensive performance and even the series at two games apiece. 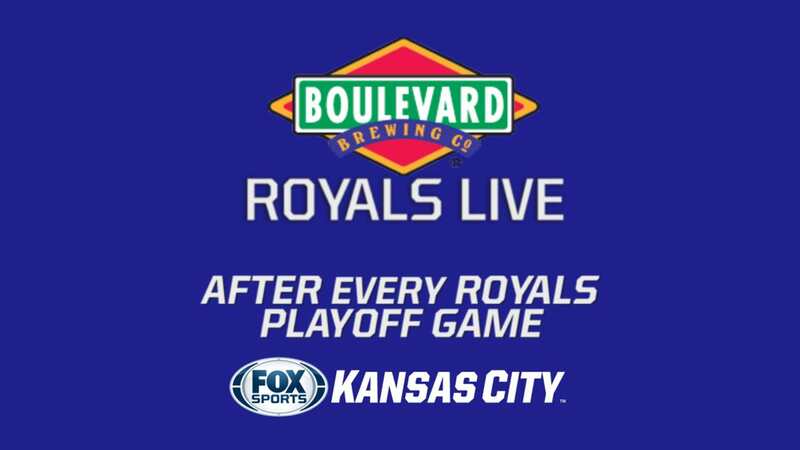 Tied at four after 11 innings Tuesday, Kansas City turned to Young after trotting out five relievers. The veteran right-hander responded by tossing three hitless innings with four strikeouts before Eric Hosmer lifted a sacrifice fly that scored Alcides Escobar for a 5-4 victory. Despite throwing 53 pitches, the 36-year-old Young isn’t concerned about taking the mound on three days’ rest. He’s 1-1 with a 1.59 ERA in three starts in that scenario this year. "I came in (Thursday) and got my normal routine in and just treating it as a normal start," Young said. "Like I’ve said, I’m here to do whatever the team needs, whether that’s relieve or start. And my body feels fine, physically. I’m not worried about bouncing back and excited to be out there." Manager Ned Yost insists Young isn’t under a pitch count. "We do like we do with all of our starters, we’ll continue to evaluate every inning how he’s throwing the ball and how he’s feeling, but there’s no limitation," he said. Yost surely prefers to avoid going to the bullpen early after using six relievers over 5 2/3 innings in Friday’s 9-3 loss at Citi Field. "They did a good job of capitalizing on all our mistakes," Hosmer said. "Hopefully, we got them all out of the way." The Mets are encouraged by one of their best offensive showings of the postseason. They got 12 hits from nine players, including homers from Curtis Granderson and David Wright, who awoke from his playoff slumber by going 2 for 5 with four RBIs. "We get our offense going a little bit, we play better baseball," manager Terry Collins said. Wright was 2 for 11 through the first two games of the World Series and had a .171 average with three RBIs in 11 playoff games before belting a two-run shot in the first inning of Game 3. "Recently the hitting coach and I have been working on some mechanical things, some timing things," Wright said. "Just being a little bit more on time and being ready for the fastball." Wright, though, is 1 for 10 against Young, who has held the current Mets roster to a .136 average with 14 strikeouts. Young is 0-4 with a 3.61 ERA in nine career starts at Citi Field, but they all came with New York from 2011-12. The Mets give the ball to Steven Matz, who becomes the first New Yorker to start a World Series game for the Mets. The rookie left-hander grew up a Mets fan in Stony Brook, roughly an hour away from Queens. "This is where you want to be in baseball.," Matz said. "This is the dream. This is what you write up in your backyard when you’re playing Wiffle ball. "I didn’t know it was actually going to come to truth or whatever. It’s actually amazing. It’s pretty big blessing being here, especially my first year being a part of this team." Matz helped the Mets reach the World Series in his last outing. He yielded one run and four hits with four strikeouts in 4 2/3 innings as New York completed an NLCS sweep with an 8-3 win at Chicago. He’ll try build on Noah Syndergaard’s outing from Friday and slow down Escobar, Kansas City’s leadoff hitter who is batting .356 in the postseason. The shortstop went 1 for 4 with two strikeouts in Game 3 and has hit safely in 13 straight playoff games. Syndergaard’s first pitch of the game was a 97-mph fastball over the head of Escobar, who evaded it and ended up on the ground. Since Syndergaard made it public that he had a plan to deal with Escobar, the Royals responded by jawing at him from the dugout for several innings. "It was the only location he missed all night," Hosmer said. "No one in here is stupid. We know what he said."